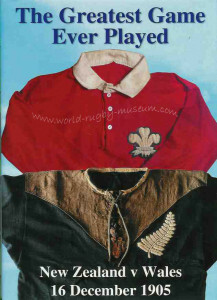 Home › Wales › 150 years of Welsh rugby – but, more than just a game? Stirring images of iconic Welsh singers like Bryn Terfel, Kathrine Jenkins, Aled Jones, Shirley Bassey, Tom Jones and Shân Cothi leading the crowd in Mae hen wlad fy nhadau at the Millennium Stadium might make an observer wonder why anyone would doubt that rugby was more than just a game. However, beyond the 80 minutes of passionate play and the subsequent period of bragging rights or drowning of sorrows, a case to question this assertion can be made. Looking under the skin of the role of rugby in Wales, it is quickly evident that the vast majority of Welsh people neither participate in rugby nor follow it beyond the international matches, particularly the matches between Wales and England, Ireland or New Zealand. 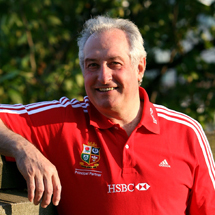 The questions then arise: how, when and why did rugby assume an iconic identity for Wales. Fixing an exact date and place when anything became an iconic image of a country seems an unlikely circumstance, but a noted historian of rugby, Gareth Williams, fixes the date on which rugby assumed that role in the hearts and minds of Welshmen firmly as 16 December 1905 at Cardiff Arms Park. That was the day when Wales beat a hitherto undefeated New Zealand All Blacks team by three points to nil. Although a small margin of victory, it had to be seen in the context of New Zealand scoring 800 points and conceding only 27 against the other British teams on their UK tour that year. It was certainly a golden age for Welsh rugby – winning the triple crown six times in 12 years between 1900 and 1911 was a magnificent achievement for a tiny nation and an opportunity for pride, both for Welshmen in the old country or those dispersed throughout the world. Wales was making a major impact in rugby, to use a boxing analogy, “punching well above her weight”. At the time of the victory against New Zealand, Wales was at its zenith industrially with Welsh steel in the construction of much of Europe’s shipping, and its coal firing the boilers of those ships. Historian John Davies linked rugby closely with the industrialisation of Wales and reinforced it as a “powerful symbol of the nation’s identity.” He suggested sport, but not necessarily rugby, had become the new religion of the Welsh people rather than Christianity and Gareth Williams suggested that the ebb and flow of Welsh rugby’s fortunes coincided with similar cycles in the Welsh economy and in the confidence in Wales as a nation. Whilst there is clearly a case for sport in general and rugby in particular, being akin to a religion for some, a case might be made for the National Health Service taking the place of Christianity as the most cherished value. Similarly, whilst the economic situation has been poor in Wales in recent years, Wales rugby has done quite well. Eventually, the ministers and deacons began to take a pragmatic view and reluctantly began to be more positive. Some even constructed sermons from the discipline that the teams showed in playing successful games. A century ago the Chapel still held significant sway in the communities of Wales and so the removal of disapproval and then affirmation of the game gave tacit permission both to be participants and to spectators of rugby. Christianity still features, possibly only for historical reasons, in rugby. The stands still ring out with hymns like Cym Rhondda and Calon Lân alongside the dark lyrics of Delilah today. Interestingly, rugby matches in south Wales where Welsh language is not widely used are still occasions when songs like Sospan Fach and Calon Lân may be heard in sometimes shaky Welsh. Cymdeithas yr Iaith Gymraeg (the Welsh Language Society) may take some comfort! Max Boyce, ex-miner from the Valleys and popular comedian and folk singer wrote a number of songs that captured the intrinsic Welshness of rugby. A more reflective song, “Ten Thousand Instant Christians” juxtaposes the almost religious fervour and devotion of rugby fans in an ironic contrast with the closed and boarded former Chapels echoing with the hymns of yesterday. Welsh rugby gives Welsh men and women an opportunity for pride, particularly in individual players who have excelled. There can be no better example than Gareth Edwards, voted the greatest player of all time by his peers in a 2003 poll in Rugby Magazine and by former England rugby captain Will Carling as “the greatest player ever.” That pride was rekindled when Shane Williams collected the 2008 BBC Wales Sports Personality Of The Year Award and Leigh Halfpenny in 2013 and Dan Biggar in 2015. .
National Eisteddfod organiser Hywel Edwards controversially suggested that rugby shirts might be a more appropriate Welsh national costume for girls than Lady Llandovery’s tall hats, shawls and aprons, or boys dressed as colliers for St David’s Day celebrations. He said, “Images of children in lace aprons and collier’s clothes beamed around the world on St David’s Day created an image of Wales as a backward country stuck in the past”. However, active participation in the game of rugby in Wales is not high. Compare Wales with New Zealand, a similar size nation. Similarly, home attendance at Welsh regional rugby matches averages between 5, 000 and 10,000, whereas home attendance in 2014/15 at Cardiff City FC was 14,600 and Swansea City 20,600, English Premiership average attendance 36,000 and Manchester United FC 75,000. Sports Council Wales reported that rugby came ninth in a list of participation sports in Wales, whereas football was third. A YouGov/Daily Telegraph poll in 2005 looked at the proportion of sports fans in Wales/Midlands taking an interest in a number of sports. Football came top at 68% and rugby was mentioned by only 48% – less than half the respondents. Despite these low proportions, Welsh people demonstrated their commitment to their national team with a quarter of the population watching rugby on TV – a higher proportion than in any other country. A 2009 Wales v England international was watched by 55% of Welsh viewers but only 18% of English viewers. What explains these inconsistencies? Welsh rugby was, and still is a classless game where its players were historically as likely to be consultant surgeons or GPs as they were to have been from the pits or the steelworks. That ‘level playing field’ has contributed to Wales’s embracing the game to her heart. Kenneth Morgan asserts that “Rugby was, and remains, an attractive aspect of the national identity of Wales,” but points out that nationalists feel preoccupation with rugby diverts people from the greater priority of national independence. That reservation by nationalists does reflect some other issues. The heartland of nationalism, north and west Wales is largely rural, other than some medium size towns on the north Wales coast. They are also areas with the greatest concentration of Welsh language and a very different focus of sport: walking, climbing, mountain biking use and sea-based pursuits. There’s no historic tradition of rugby in these areas and many football fans in north Wales look to the great football clubs of north-west England which are easily accessible. The large Guinness Pro12 clubs are all based in south Wales: Cardiff, Newport, Llanelli and Swansea. If culture, geography, language and sports interest were the sole factors that determine the role of rugby as an icon of Wales, then one could make a stronger case for rugby being ‘more than a game’ predominantly in south Wales. The huge crowds on the terraces, at least of international matches, are united in their commitment to their national team, becoming a huge corporate sixteenth player. Rugby (in reality, international rugby) brings people together with a mixture of nostalgia, pride in a nation’s achievement, a reflection of Welsh values and a history of great success in an environment where the Welsh language features in a non-divisive way and it can genuinely be described as ‘more than a game’.